Born in 1913 from Italian parents in Boston, Corrado di Marcarelli (who changed his name in Conrad Marca-Relli to facilitate the English pronunciation at the beginning of 1950) moved to New York in the late 1920’s and from an early age was involved in the New York art scene. Marca-Relli studied at Cooper Union for a year, before working for the Works Progress Administration (WPA), where he was awarded the Logan Medal of the arts. He was an avid traveller (including important trips to Mexico and Europe), but he always kept a bond with his native country, and its traditions, specifically the Italian Renaissance. After his military service during World War II, Marca-Relli became a member of the “Downtown Group”, a group of artists whose studios were in the Greenwich Village neighbourhood of lower Manhattan. His first solo show was in New York City at the Niveau Gallery in 1947. 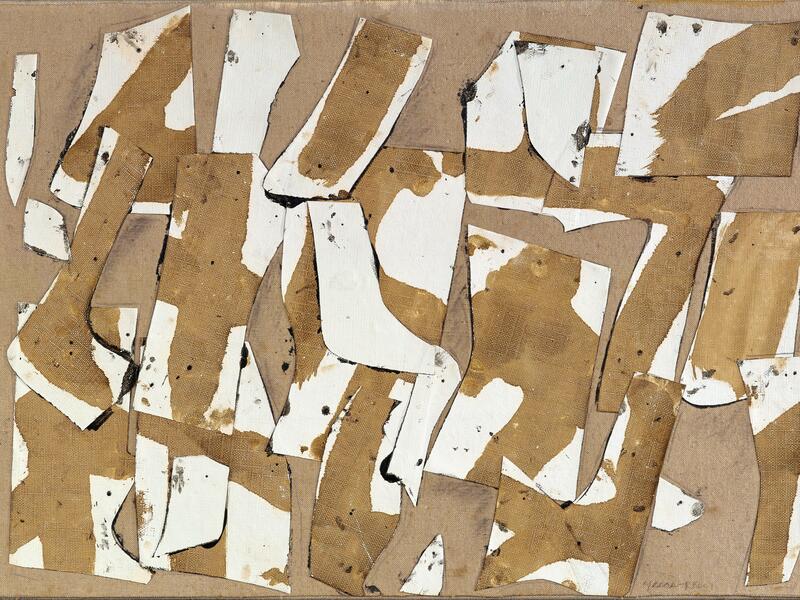 Marca-Relli is considered one of the main exponents of the New York School of Abstract Expressionism, and he was involved in the movement from its conception. In 1949 he founded the Eight Street Club, together with Mark Rothko, Franz Kline and William de Kooning to organize the first Abstract Expressionist show. In 1951 he exhibited at the Ninth Street Show together with Jackson Pollock, Willem de Kooning, Philip Guston, Robert Motherwell, Barnet Newman, Hans Hoffman, Franz Klein and the gallerist Leo Castelli. This important exhibition marks the beginning of the new uniquely American artistic movement, which is based on revolutionary painting methods, notably, Action Painting. Marca-Relli, i prodigi del collage, De Primi Fine Art, Lugano. Conrad Marca-Relli and Robert Nickle , Pavel Zoubok Gallery, New York. 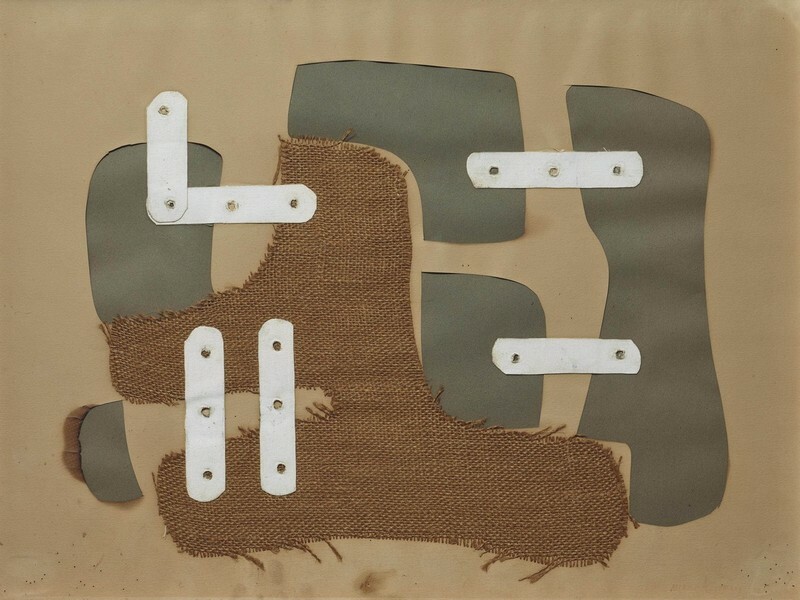 Conrad Marca-Relli, The prodigy of collage - Repetto Gallery, London. New York, Joan T. Washburn Gallery. Fort Lauderdale (Florida), Fort Lauderdale Museum of Art. College Park, University of Maryland Art Gallery. Coral Gables (Florida), James David Gallery. New York, Whitney Museum of American Art. Lima, Instituto de Arte Contemporáneo. Los Angeles - Hollywood, Frank Perls Gallery.